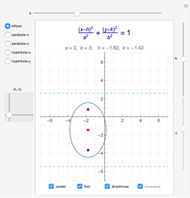 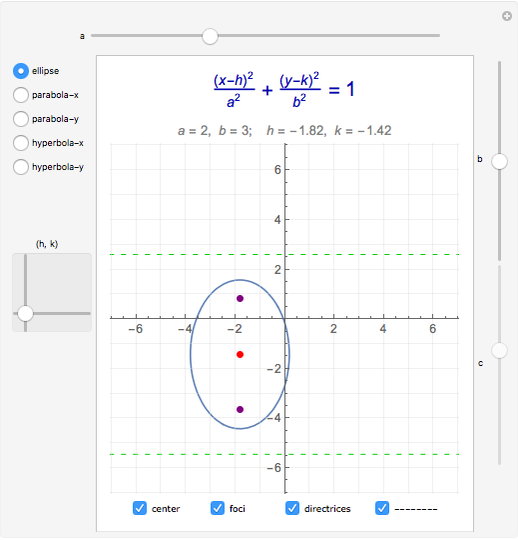 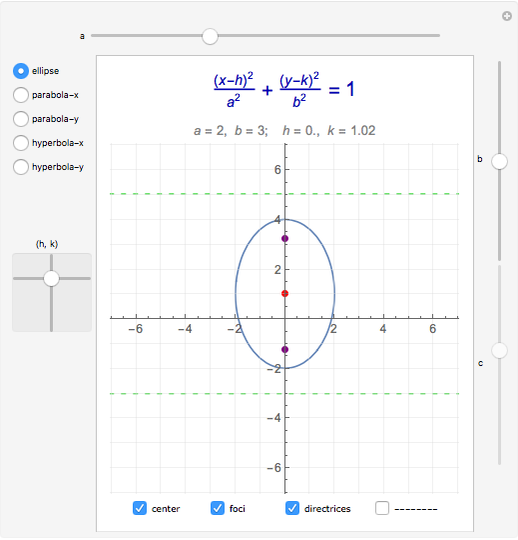 Adjust the , , and values in the standard forms for ellipses, hyperbolas, and parabolas. 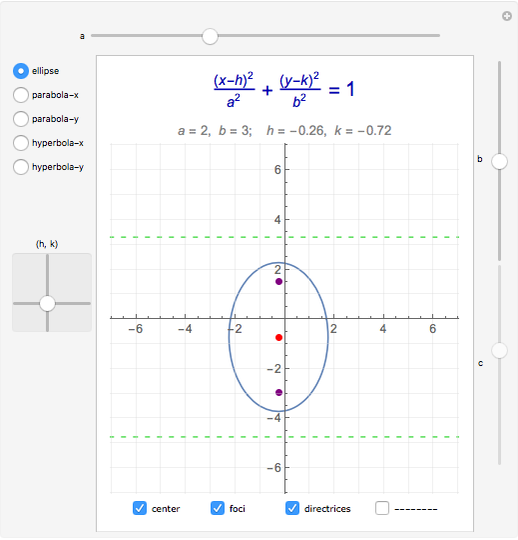 You can also move the center and view other related points and lines. 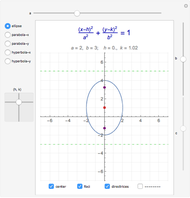 Abby Brown "Conic Section Curves"